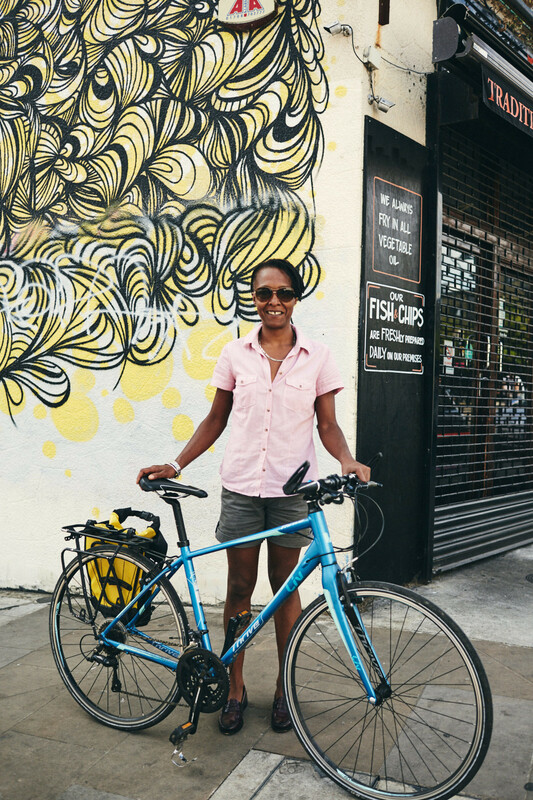 The Women’s Festival of Cycling celebrates women from all walks of life who come together to share their cycling experiences and positive stories. Organised by Cycling UK, it raises the profile of those making a difference through cycling. 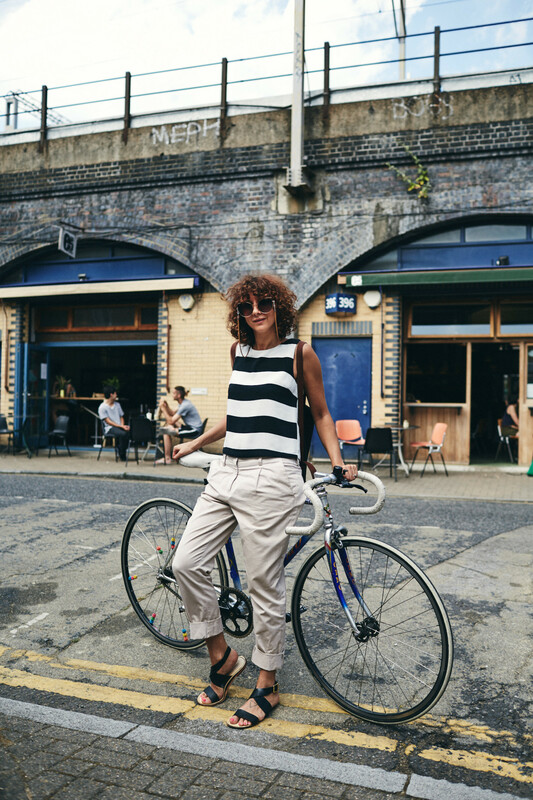 The festival brings light to women in cycling as they are often underrepresented; but also highlights and celebrates those who have already made a big impact – from the international cycling stage right through to changing cycling conditions in local communities. It is a great opportunity to recognise individuals who act as role models and advocates of cycling every day. 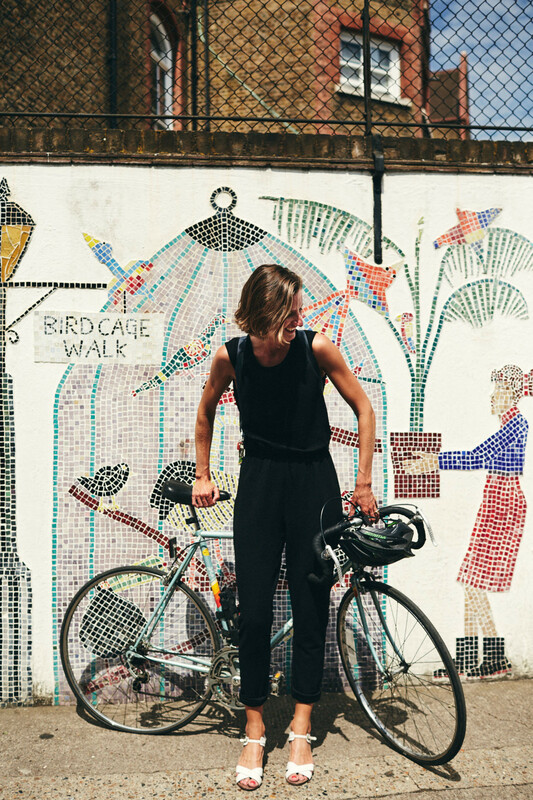 To celebrate the occasion, we went outside our office in East London to interview and photograph women who were on the move with their bikes around the city. 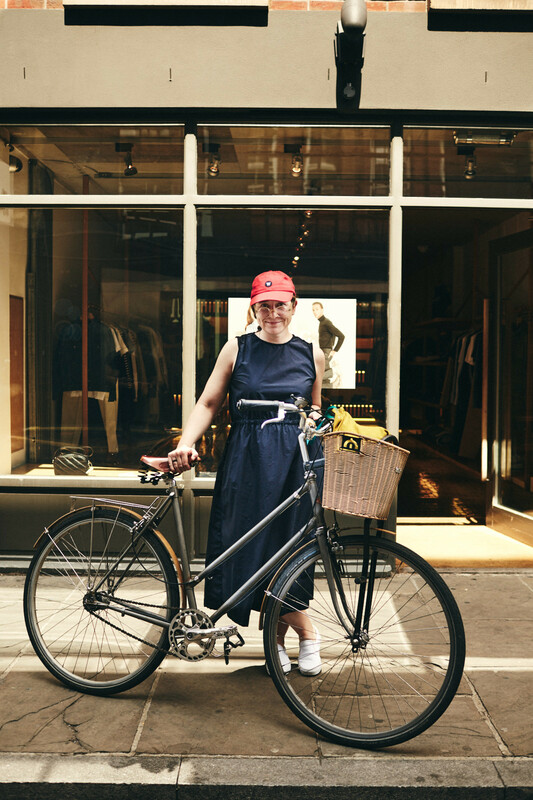 We stopped them and asked a few questions in order to get some insight into what life is like as a bike enthusiast in a vibrant city like London as well as tips to encourage others to try urban cycling. Thank you to all of them for inspiring us. What’s your favourite thing about cycling in town? Getting around really quickly because I’ve got two kids and not much time. And cycling gets me from A to B in the shortest time possible. Fav thing about urban cycling? The best thing about cycling in the city is that you always get to where you want to go on time. There is so much traffic in London but when you are on a bike you can just wiz through, and of course, it means you can get exercise. I love it because it keeps you fit and gives you freedom. 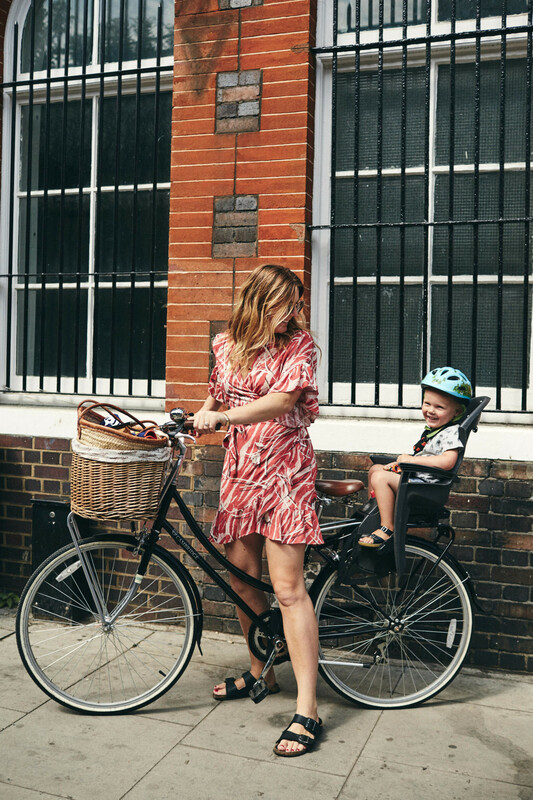 What would you say to someone who is considering cycling but is still a bit unsure? Cycling in London is actually really safe, there are a lot of cycle lanes and the Government has made it really easy for people here to cycle safely. Of course, some roads are still busy but there are many great maps and cycle routes that show you, even if you are an inexperienced driver, the slower routes or the backstreets so that you are not cycling with all the cars. The speed of getting to places; not being stuck in traffic and being outdoors. Just get out there! These days there are so many community-based cycle storage spaces if you don’t have room in your house to store a bicycle. See what’s available and you can do it! The freedom, and that you are not restricted to where you can park which makes it very easy. You also don’t have to sit in traffic because you can push your bike on the pavement instead and its also great exercise. It’s amazing because you can get around places you wouldn’t be able to get to if you were driving a car. On a bike, you can always just spontaneously jump off and explore places which you couldn’t do with such ease if you were in a car or travelling via public transport. Whats your favourite thing about cycling in town? Getting from A to B very quickly and freely. It’s not crowded and uncomfortable like public transport. You get a feeling of liberty while cycling and it also allows you to discover a city in a different way. That you always know how long it will take to get to your destination. Unlike when you’re on a bus and don’t know how long it will take to get somewhere, on a bicycle you are in control. You can get free bicycle and road confidence lessons, which is extremely useful.